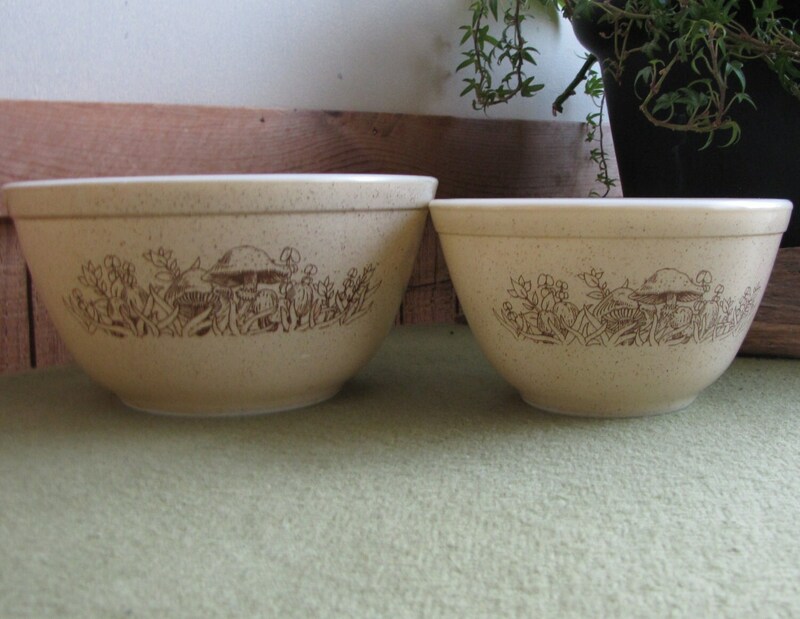 There are two out of what would have been a 3 piece set of Pyrex bowls in the Forest Fancies pattern. 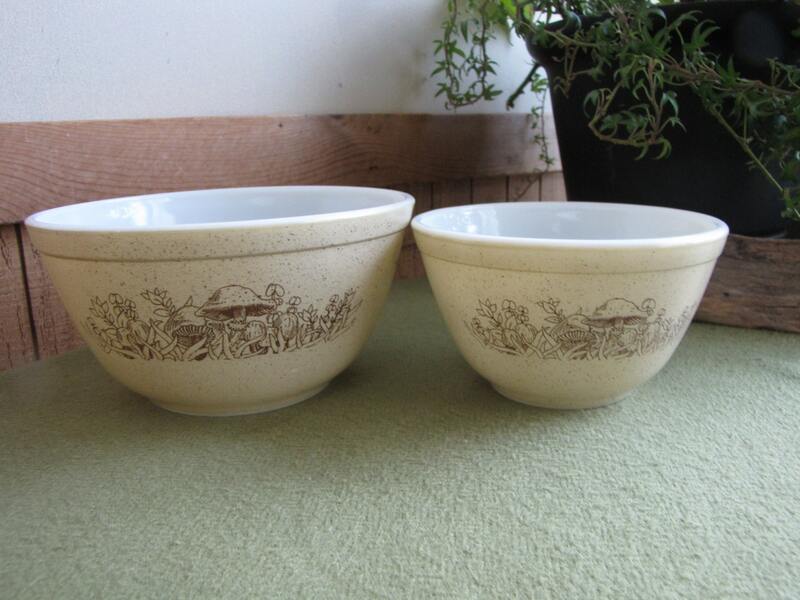 The bowls are in very good vintage condition with no chops or cracks. The larger of the two does have utensil marks on the inside bottom of the bowl. The little bowl looks to be in great condition. 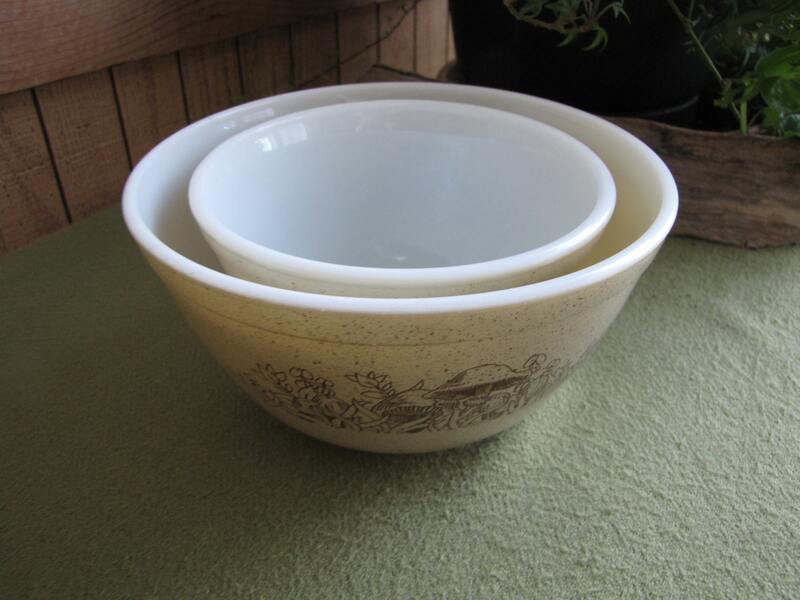 The bowls measures 3.5 inches and 7 inches in diameter and 3.25 inches tall and 5.25 inches in diameter. 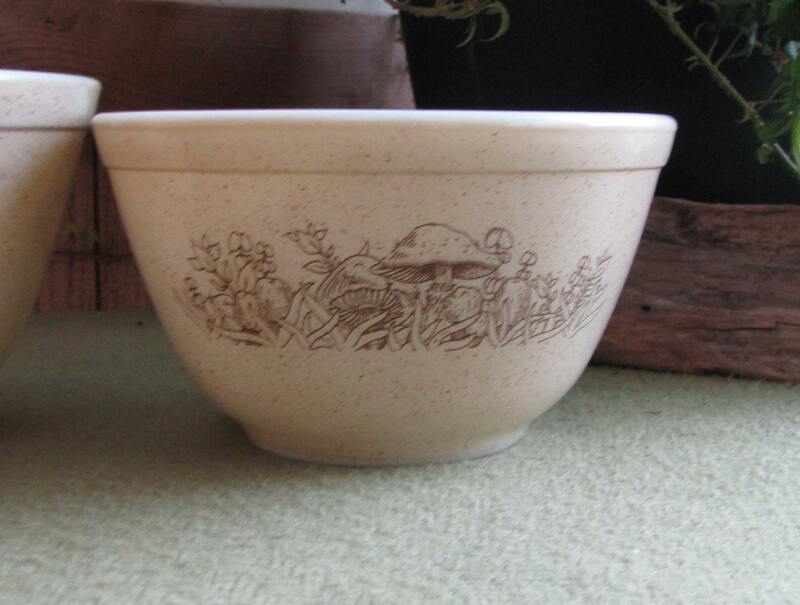 Forest Fancies was one of the last four Pyrex patterns to be manufactured before Pyrex ceased production in 1986. They were produced from 1981 to 1986. The designer was Marc G. Ruben and produced in Charleroi, PA. 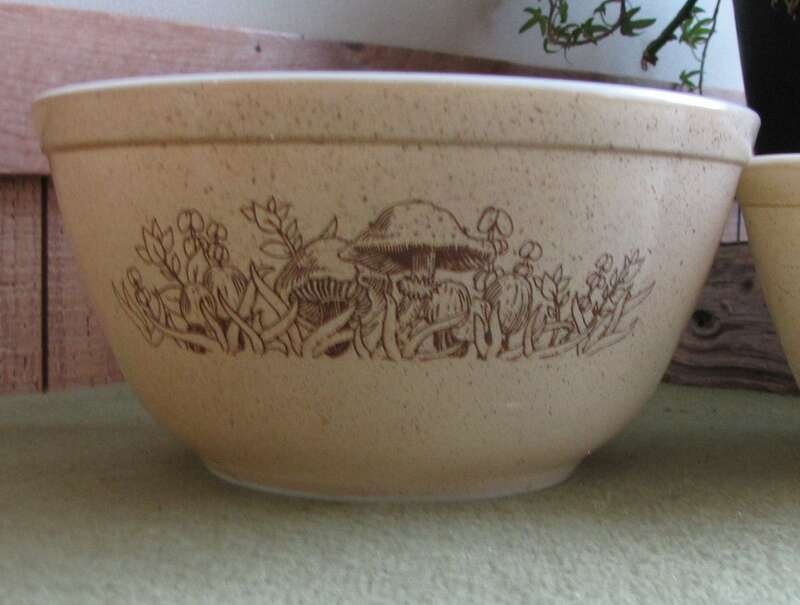 They advertised the set as, "Introducing Pyrex ware Forest Fancies....A natural, earthy decoration that captures the beauty and spirit of an enchanted forest floor...on an almond-speckled background.